Imagine that someone we love has just returned from a week of retreat in the Dominican Republic. Consider this invitation that he or she might make to me. The experience changed my life, dear. 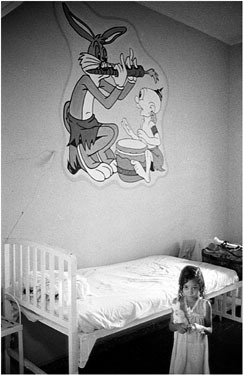 My heart is filled with this image of a little girl in the children’s hospital in Santiago. I feel a profound call to go there and serve for a year. If we can work out all the details to get time off here, will you please come and be with me? I know we can make a difference together. I need your love, your support. I need you. It won’t always be easy, but we will have each other to lean on. And I know we can’t even imagine how much more in love we will be, sharing this service together. Please be with me. All week of this retreat, we will ponder the power of this imaginative invitation from someone we love. What impact would it have on me? If this is someone I love, would my worry about the possible hardship of the service hold me back? And all week we will compare this invitation to the one we receive from Jesus. Over the past several weeks, it has been the delight I’ve longed for — to show you how much I love you. How I have wanted you to know how much I have desired to free your heart. And now that you have asked me what you can do — what return you could make for such love — I feel eager to invite you to be with me. And I need you. I need your support and your free heart. It won’t always be easy. But we will be together every time you are with me in loving. If you are with me in the struggle of love, we will grow together in love in ways I can ask you only to imagine. If you are with me in the dying to self-love that is our mission, then you will be with me in the fullness of life, forever. God’s reign is at hand. Together we can bring it closer. Please be with me. Just consider this invitation all week. Feel it. It is the call of our baptism into Jesus. It isn’t imaginary. It is very real. How special we are to receive such an invitation of love! As always, make use of the helps in this book and online. And consider sharing the graces you are receiving. Consider sharing the graces you have received this week with others making the retreat.